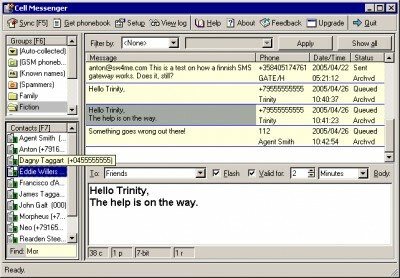 Cell Messenger 1.1.151 free download. Textmessage allows you to send short messages (SMS) to ANY cell phone or e-mail instantly! This is an SMS program that can send text messages to multiple people very quickly. With Mobile Buddy 2006 you can send SMS messages all over the world.